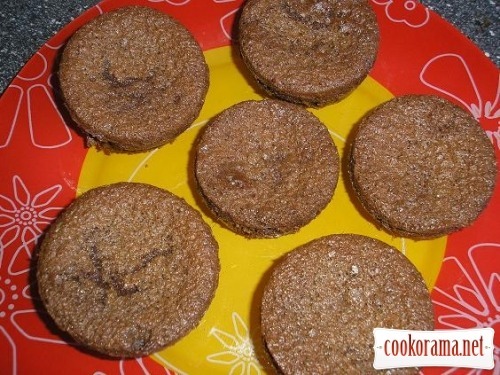 For biscuit mix eggs with sugar and vanilla suagr. Add flour, baking powder and cocoa. Mix all well. Grease molds with butter and pour batter in them, filling molds in half. Put biscuit in heated at 180℃ oven for 30 min. While biscuit is baking, prepare cream. 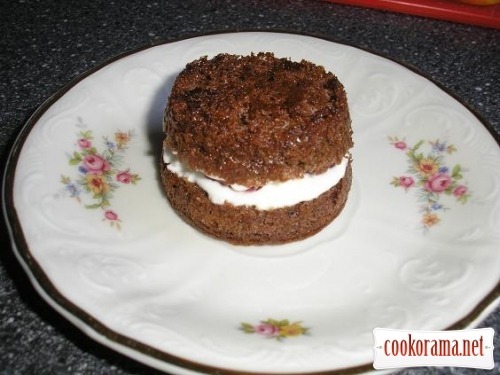 Mix cream with sugar powder, add cheese, mix again and put cream in the fridge. Cut ready biscuits in half. Smear two halves from inside with cream. Spread raspberry on a lower half. Combine two halves of biscuit. 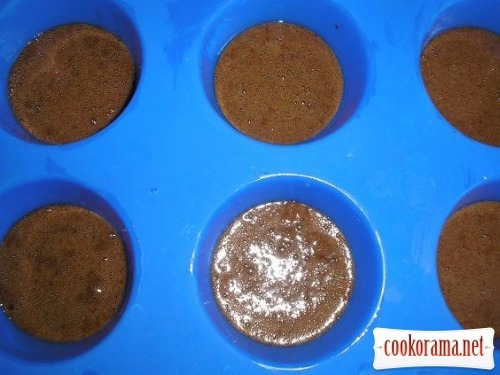 Melt chocolate with cream on water bath. Mass should be liquid. Pour cakes with chocolate. 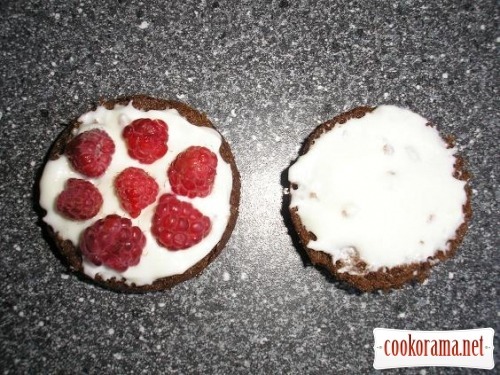 Decorate with raspberry and put in the fridge, to cool the chocolate. 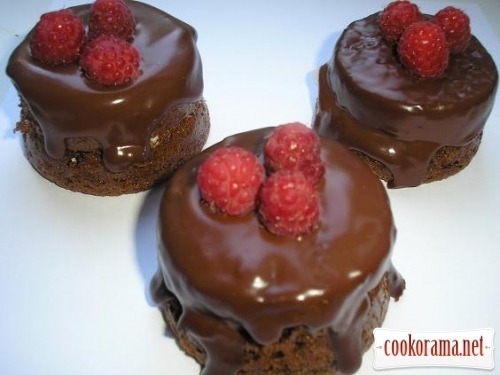 Top of recipe "Cake "Raspberry in chocolate""
Ну точно как в ресторане! Смачно і просто, та щей як апетитно. 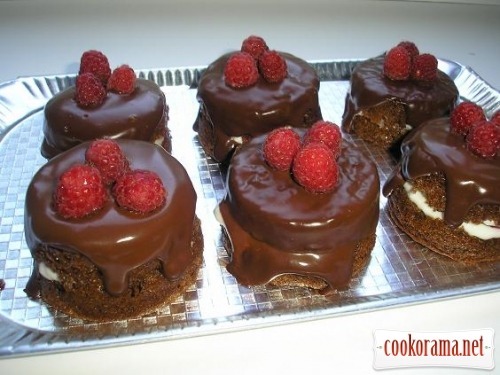 Recipes, Fruit desserts, Cake "Raspberry in chocolate"